Whatever your group’s size, age or interest, we have a tour package that is sure to meet your needs. All rates listed below are based on purchasing a minimum of 20 tickets at least two weeks prior to your visit date. Contact our Group Sales department toll-free at 866/877-6262, ext. 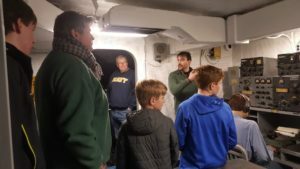 144, or by email at groups@battleshipnewjersey.org, to book your group. A 90-minute journey through American history! 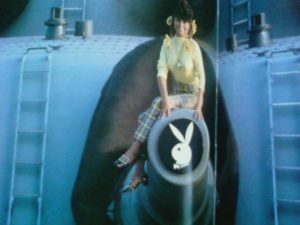 Our knowledgeable tour guides will take your group through the Battleship’s awesome 16″ gun turrets and other weapons systems, the Admiral’s and Captain’s cabins, communications center, navigational bridge, Wardroom, berthing area and much more. 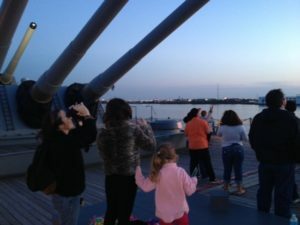 On your tour, you will learn about the critical role the Battleship New Jersey played in World War II, Korea, Vietnam and the Middle East and understand why she was the most feared ship ever to stalk the seas. On this hour-and-half tour lead by specially-trained guides, your group will see the areas of the ship not previously viewed by the public. 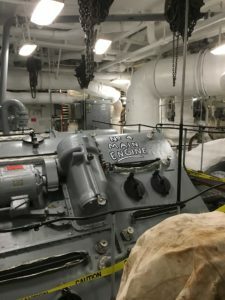 This includes the Machine Shops, the Medical and Dental facilities, the Post Office, the TV Studio and Control Room, the Brig, the Barber Shop and more. Make it a day on the Camden Waterfront. This popular package features a docent-guided tour of the Battleship and a self-guided tour of the incredible and close-by Adventure Aquarium, showcasing Shark Realm, the thrilling West African River Experience, the Jules Verne Gallery and so much more! * For groups of 20 or more. Learn about the document that secures our freedom and a Battleship that defended it! This in-demand package features a docent-guided tour of the Battleship New Jersey and a self-guided tour of the fabulous National Constitution Center (NCC) on historic Independence Mall in Philadelphia. With a live, patriotism-inspiring presentation entitled “freedom Rising” as its centerpiece, the NCC offers over 100 fun, interactive exhibits designed to increase the understanding and appreciation of our nation’s Constitution. Ahoy! Experience three heroic, historic ships in Camden & Philadelphia- Battleship New Jersey, Cruiser Olympia & Submarine Becuna. A full day, on two waterfronts, of naval historic, honor & bravery.. Maneuver an underwater robotic vehicle, fire the mock cannon and explore U.S. naval history. Climb aboard two National Historic Landmark ships, the Cruiser Olympia and the World War II and Cold War Submarine Becuna. Located at Independence Seaport Museum at Penn’s Landing, Philadelphia. Cross the Delaware River to our nation’s most decorate battleship. The Battleship New Jersey.